Experience to scuba dive in one of the most recognized coral reefs in the world, part of the Mesoamerican reef. 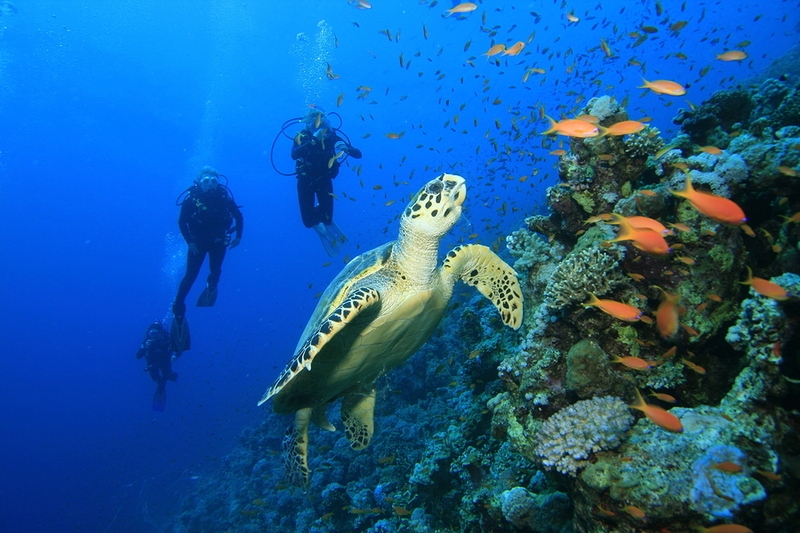 Meet with all the reef species in an incredibly warm and cristal clear waters environment. Discover life in these amazing dive sites. Always from comfortable boats with water and fruits to enjoy aboard and diving guided by an expert local guide. PRICE INCLUDES: 2 dives in Cozumel reefs, full gear, wetsuit, dive guide, cold beverages and fruits on board, Marine National Parks fee and taxes. NOT INCLUDED: Ferry's cost from Playa del Carmen to Cozumel (around USD18 round trip). SCHEDULE: Usually you'll have to take the ferry to Cozumel and our personnel will be right at Cozumel's port waiting for you with everything ready to go diving right from the ferry's pier. You'll be back at the pier around 15:00/16:00 hs depending on the dive sites and weather conditions.